See Orlov in the video "Any Horse, Any Rider"
Orlov is a 1985 Russian Arabian gelding by the famous Russian import Moment+++. He was shown extensively at halter as a young horse, and was ultimately purchased for young rider Jessica Keirn. 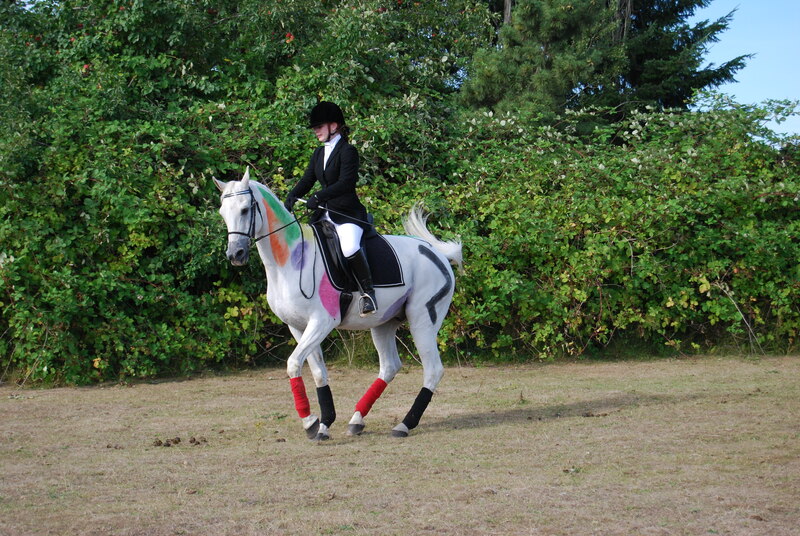 Jess showed Orlov as a rail horse in equitation, English pleasure and western pleasure, then started dressage lessons. Orlov was shortly "mysteriously lame" and no vet was able to firmly diagnose his condition. 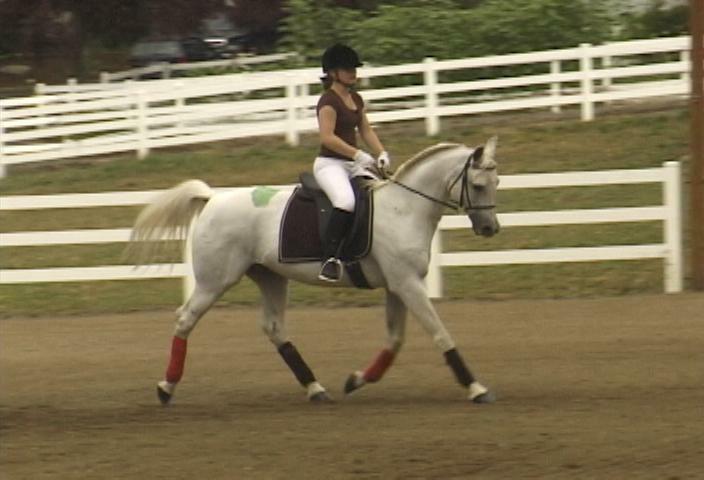 When Jess and Orlov came to me he was firmly entrenched in the "tonic neck reflex" (also called the military neck reflex), and showed what appeared as a grade 2 front end lameness. 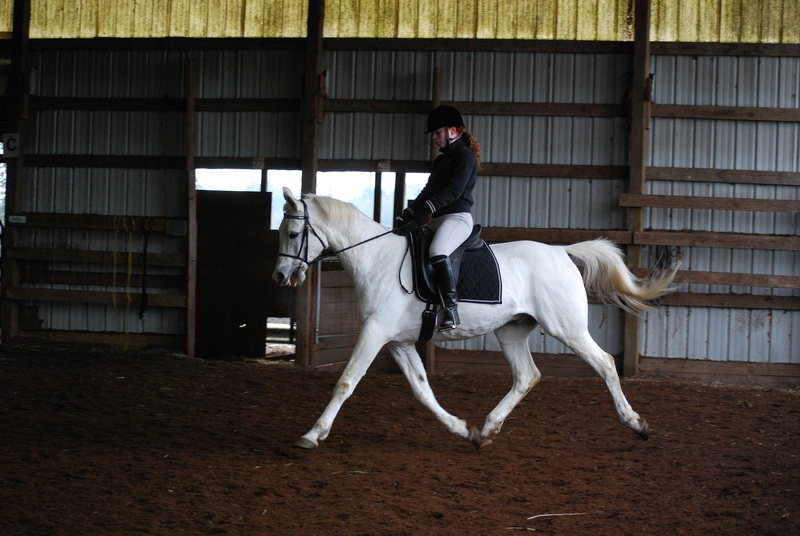 In one ride, Jess learned the opening rein work shown in the video "Any Horse, Any Rider" and Orly showed a dramatic improvement in his way of going. That was in 2002. 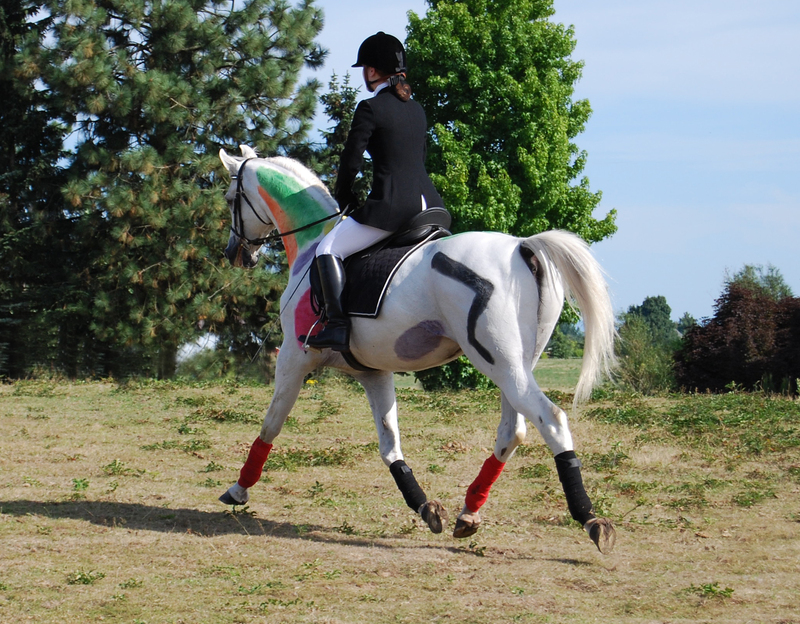 Since that time, Jessica has rehabilitated and retrained her beautiful horse and dramatically changed the way she rides, overcoming many misperceptions about dressage training as well as physical asymmetries that affected her position and effectiveness. 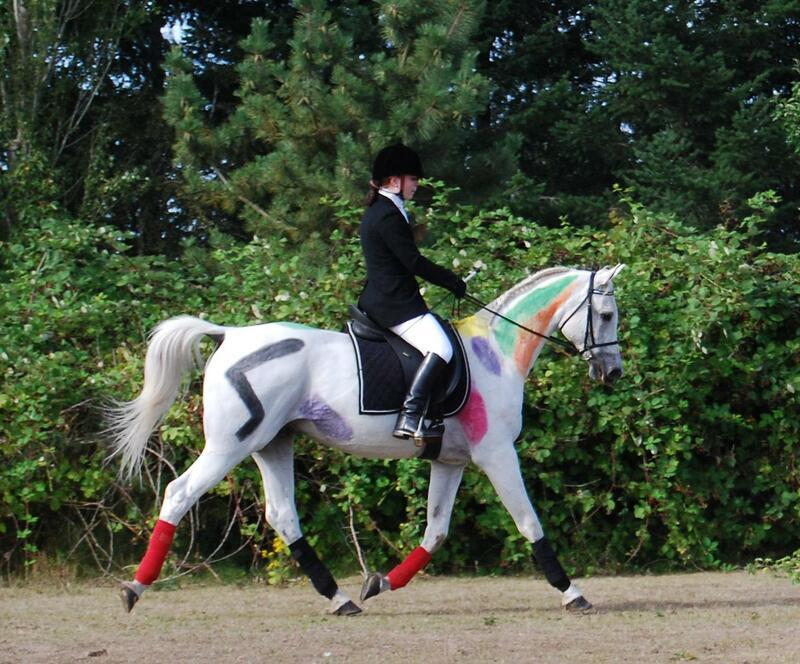 Orlov has been sound for dressage training and will be competing at First and Second level in 2008 at the age of 23!